Sue has been involved with music since she was a young toddler. Her grandmother taught her how to play piano when she was just four, and she has sung in choirs all her life. In high school and college, she sang with madrigal and acapella groups. More recently, she was a member of the Dan Kane Singers. She taught music at First Lutheran for several years in the early ’80’s, and became the church’s adult choir director in 2008. In the Spring of 2017, Sue began to direct the growing children’s choir for First Lutheran’s Christian School. 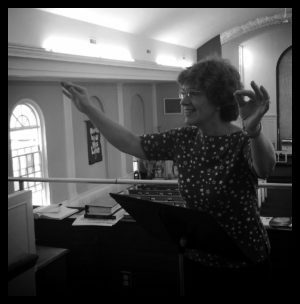 Although she presently runs a successful accounting business, choir directing has always been her favorite job! Sue can be contacted at sue@QTandB.com. 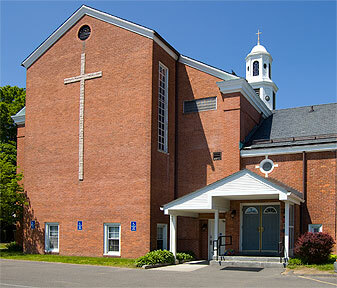 Since 1995, First Lutheran has offered a contemporary music service every Sunday at 11:15 am. Stacie Boynton is our keyboard artist and melody mainstay. She combines an uncanny sight reading ability with pitch perfect melody. Bob Lastowski is a retired teacher and football coach. Sue Lastowski is one of the original members back in 1995. She often arranges the songs so that they adapt to the music team’s style.